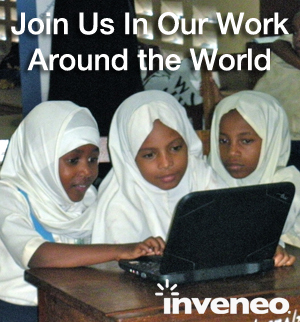 Inveneo is committed to improving education throughout Haiti through the use of ICTs, particularly Tablets. On Friday, April 10, 2014, United Methodist (UM), Heart to Heart, and our Inveneo Haiti team met together to select the 3rd pilot school for the TTT (Transforming Teaching through Tablets) project. The Inveneo team agreed to select a school in Cascade Pichon, near Bellanse (in the southeast part of the country). Pastor Cayce, on behalf of UM, proposed the school. This was in collaboration with Heart to Heart International, who has been doing incredible projects in Pichon for education, healthcare, and community organizing. A few days later, we headed early to Cascade Pichon, which can be quite difficult to get to by car. We took the challenge head-on and drove the rocky and dangerous road to meet the community of Pichon. Soon it was time to launch the training and put Tablets in the hands of these incredibly motivated teachers! 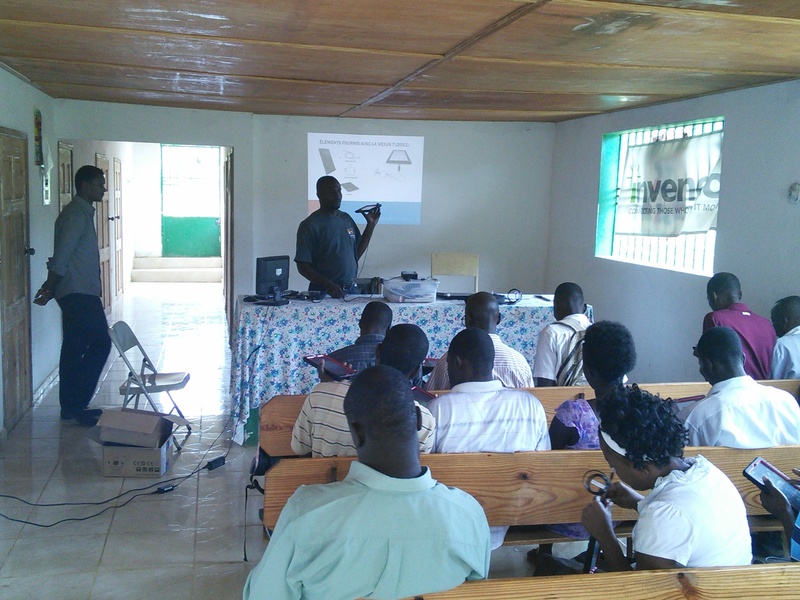 The Teacher Tablet Training had 15 teachers from three schools (FORPPE du Nazaréen de la Cascade, Ecole Nationale Bois-de-Lance, and Ecole Nationale Nan Hauteur). Most of the teachers walked 2-3 hours to attend the all-day training. In three days we had an intensive 20-hour training for the primary school teachers. We held the training at the only health clinic in the community (since there is no local school building), and our electricity came from a generator from the only place visitors stay when they come to the community. During those three days, we introduced the teachers to the concept of professional development as a lifetime process. They concluded that professional development was a “must” for teachers to improve their capacity and facilitate learning. Although they were very interested in using the Tablets, I felt that the professional development module was equally important. What did the Haitians teachers think of the training? Vitane Jean, one of the two female participants, thought that the training allowed them to understand that there is always room for improvement to become a better teacher. Chango Noncent, the School Director of Ecole Nationale Bois-de-Lance, said the training offered the rare opportunity for teachers to get together and learn from each other. The Inveneo team was happy to see how fast they understood that they were each other’s best resources. Each teacher received a Nexus 7 Tablet, which were all donated by Google. They came loaded with about 50 educational apps including a library they can use for reference and classroom activities. This was all made possible with the generous donations of Library for All and Gumdrop Cases. These apps feature subjects that are taught in primary schools across Haiti: Language, Math, Science, Social Science, and the Arts. We gave several demonstrations on how they can use the apps with their students. 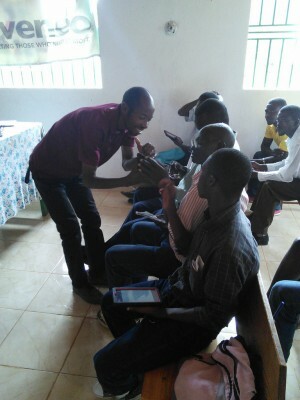 This was an important part of the training because as new ICT users, the teachers needed to see the many opportunities that the Tablet offers. Tablets give an wide variety of teaching and learning activities to make lessons more interesting, and our teachers were excited to start using them right away. To ensure ongoing technical support for the teachers, we identified two participants from the group to coach and facilitate online interaction with the group since The Inveneo team will not be able to go there every week. 1. Engagement: The teachers valued the training and actively participated. We did not go there for nothing. We went there for those who need it most. 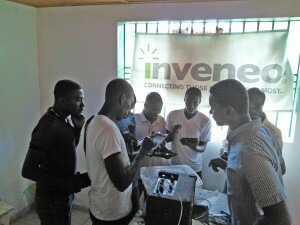 The teachers were very passionate about ICT and interested in the training activities. 2. Teamwork: The teachers were wonderful to work with. They expressed their thanks and gratitude to the UM, Heart to Heart, and Inveneo teams for bringing these tools, training, and resources to the community. This was all possible because of the generous support of Google for providing Nexus 7 tablets for the teachers, the Craig Newmark Philanthropic Fund, and the United Methodist Church of Resurrection. 3. Impact: We seem to have brought them something useful to help make a change. The teachers want to use what they have gained from the TTT project to improve their knowledge that will better help their students. In the future we hope to hear stories about what they have accomplished with their Tablets.